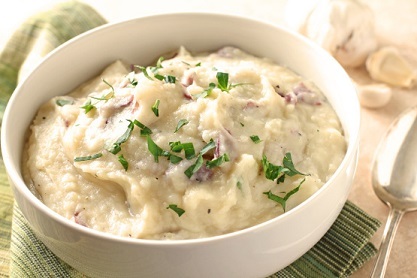 This Garlic Mashed Potato Recipe is tasty and good for you. Did you know that one medium potato provides almost one-half the daily requirement for vitamin C? We only need to remember not to over indulge. I think that is true of most foods. I believe in eating a balanced diet and not over-eating. 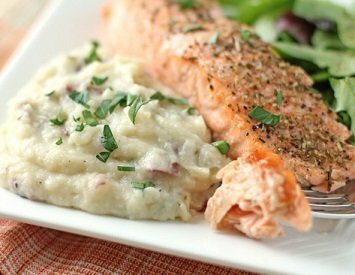 This restaurant recipe is delicious with a steak, roast beef, pork chops or pork loin, and roast chicken and salmon, halibut or other seafood and so many other recipes! Thanks for finding the website. There are many more restaurant recipes on the website so please stay awhile and enjoy more favorite restaurant recipes. With these restaurant recipes you can cook with confidence and style. Enjoy the recipe and the company of those you share it with.